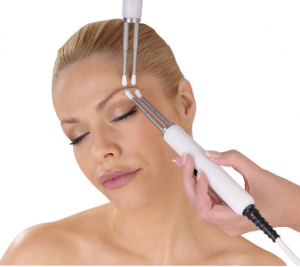 A CACI facial is perfect for those needing high precision results. The CACI Non Surgical Face Lift is an advanced non-invasive facial. Microcurrent impulses will gently lift, tighten and tone the facial muscles, whilst improving skin elasticity and encourages cell repair. The treatment smoothes the appearance of fine lines and wrinkles and your skin will be left with a wonderful glow with a firmer and more supple appearance. This treatment provides the most advanced multifunctional face toning system available. Results are visible after the first treatment but a course is recommended, depending on your own personal requirements. Why not add a dermaplaning or microdermabrasion onto your treatment? Find out more about our ‘cocktail’ treatments.